St. Paul artist Seitu Jones took home $200,000 last week from the ArtPrize international competition in Grand Rapids, Mich. The win came as a total surprise. “My category was time-based, and when the other artist won for time-based I just said ‘oh well, that’s it,’ and I prepared to party and get on the plane the next morning," said Jones. "Then when I heard my name, I tried not to be cliché but I had the same reaction as all the people on the award shows. 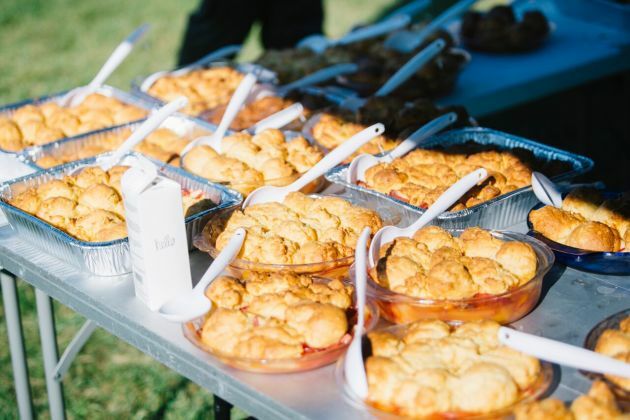 Jones won at ArtPrize for creating an outdoor meal for 250 guests in Grand Rapids' Heartside Park. The meal took place in September, with all the guests seated at a 300-foot-long table. The mix included people who would not normally socialize – from a resident at a luxury condo, to a homeless resident who lived in a nearby overpass. This year, the sprawling citywide ArtPrize event took over Grand Rapids for three-plus weeks, receiving more than 1,350 entries by artists from 47 countries. Created by Rick DeVos, son of U.S. Secretary of Education Betsy DeVos, the event is in its ninth year. The DeVos family gives away $500,000 in prizes to winning artists every year. For Jones, the event raises broader questions about the art market and systems of art patronage and wealth. ArtPrize assistant general manager Eddie Tadlock says the DeVos family does not have any input over what types of art ends up in ArtPrize. Ironically or not, there are always so many artworks with Jesus in them that ArtPrize has been nicknamed JesusPrize. This is the second major award this year for the 66-year-old artist, who received the $50K McKnight Distinguished Artist award earlier this year. As for what he will do with the money, Jones said he would not only invest in himself, he promised to also invest in his community. “This is a gift and a lesson for me to do well and do better,” he said. 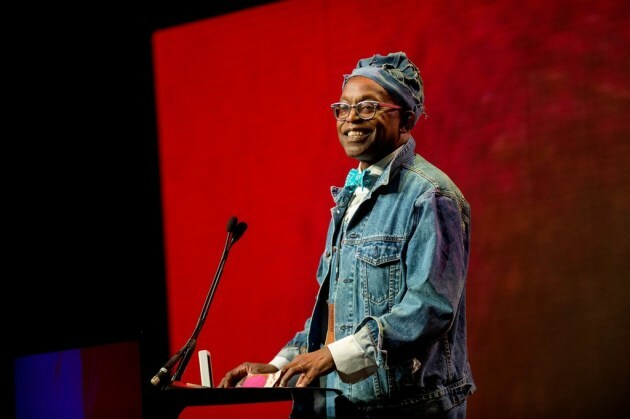 A fourth-generation Minnesotan who also teaches urban food systems at the University of Minnesota, Jones is very much focused on community in his work, which includes large-scale public art projects on the Green Line rail corridor as well as set designs for the Penumbra Theater. Jones did another large-scale community dining project at home in the Twin Cities in 2014. 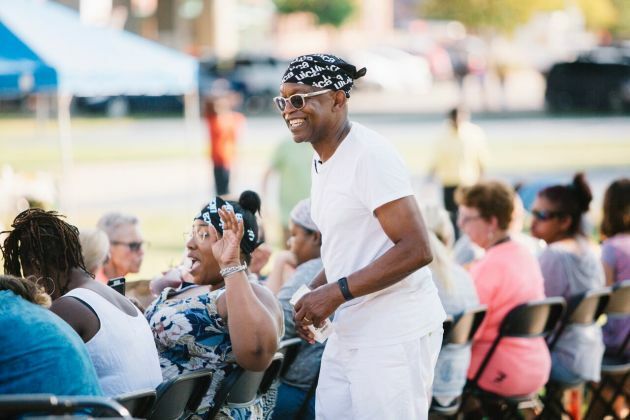 In “The Community Meal,” a half-mile-long outdoor lunch was served to guests in St. Paul’s Frogtown neighborhood. This project was in collaboration with Chicago-based artist Theaster Gates. The “Heartside Community Meal” project wasn’t designed to be sensational or even part of a large-scale, citywide art event like ArtPrize.